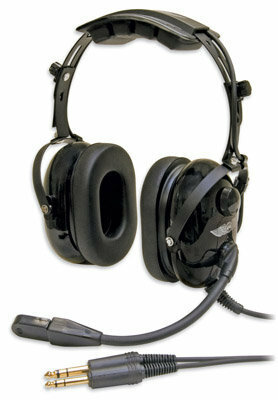 Headset is probably one of the most important tools of a pilot. And like all things aviation, it doesn’t come cheap. At my school, you can rent a headset for $10 each lesson or $25 if it’s a nice Bose one. Doing some math in my head I’d figure it would be cheaper just to buy one early on if it was the right price. Now how do you pick a headset? Let’s check off a few things. I’m not planning on being a professional pilot, I’m not flying hours on end every week. Therefore, I don’t need a really nice headset. At least right now. I need something to work. There are pilots who get up in arms about headsets saying you only have one set of ears and flying is dependent on them so you should invest. I’m 24 years old with great hearing so wearing a “crappy” headset for 40-60 hours or so won’t destroy my hearing. I looked around and found a pretty cheap headset for $109, the AirClassics HS-1A, not bad at all, pays for itself within 11 lessons. I ordered it right away. I’m actually pretty happy with it. I can hear better than on the school headsets and it’s mine. For what I paid I definitely think it’s worth it. Same set I purchased. Surprised you had to rent a headset for lessons. We had a spare pair of these for anyone taking lessons free of charge. They do work well but take care to protect the wiring on the input jacks. The “community” headset was yanked out by the wires a few too many times and occasionally cuts out. My instructor can always hear me fine but I can’t hear her or ATC regularly. It does kind of stink about the renting them for sure. I’ll make sure not to yank them out, that must have happened to the David Clark ones we have, it freaked me out that I couldn’t really hear the stall warning. You have trouble hearing her with your new ones? Uh-oh. No. The new ones are fine. The one community pair is most definitely high mileage and is treated like a bad rent a car. The Cessna headphone sockets are in an awkward spot under the dash so I think people, when leaving the plane just grab both cords and yank instead of reaching up to grasp the strain relieved jacks.